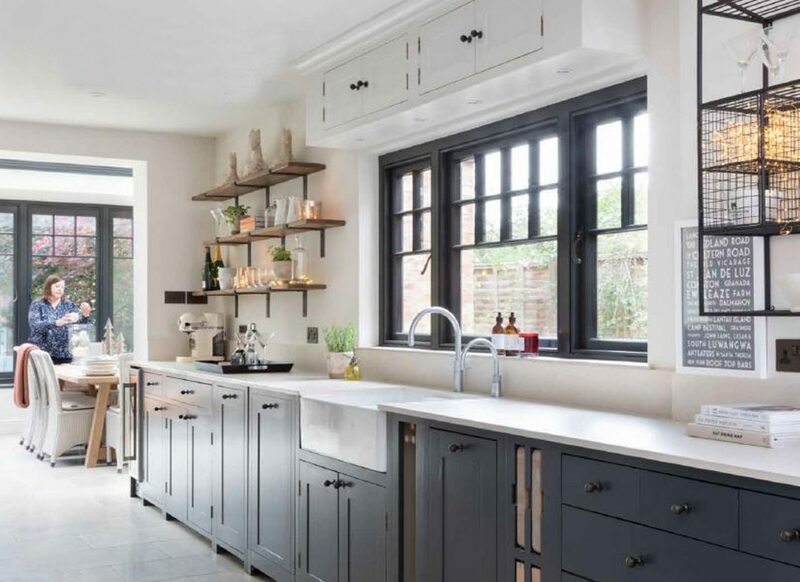 As the new season of The Great British Bake off gets underway, we find ourselves not only drooling over the baked goods emerging from the ovens, but also lusting after that great British kitchen look. 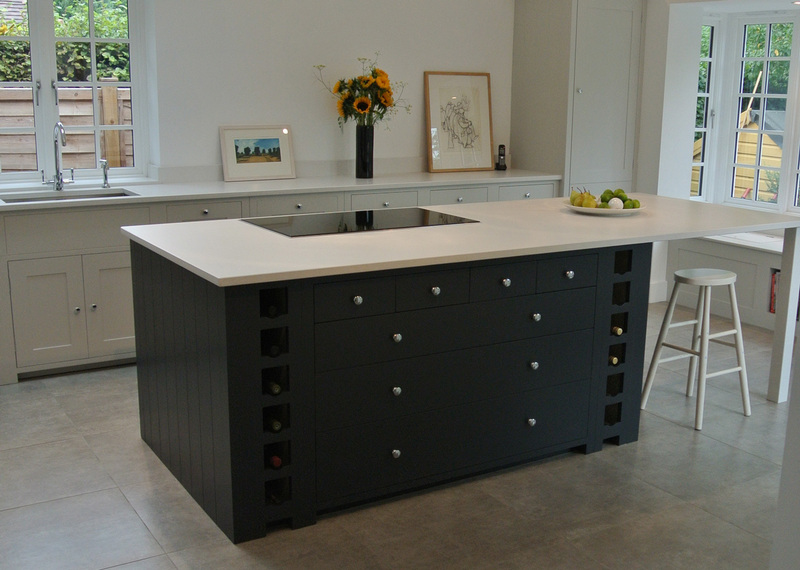 We’ve put together our tips on achieving a showstopper kitchen in your own home. 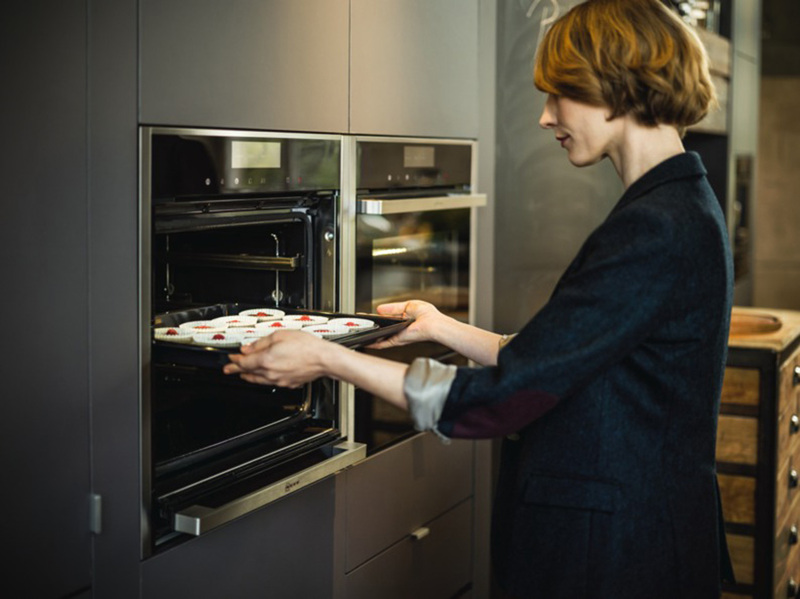 There would be no baking without it, the NEFF Slide and Hide oven is one of a kind, with its door that neatly slides back underneath for easy access. It is also packed full of features and functions such as bread baking, dough proving, bottom heat (no more soggy bottoms!) and surface grilling alongside NEFF’s famous CircoTherm fan technology. Positioned within the island unit in the Bake Off tent and paired with a NEFF proving drawer it can also be built into a tall wall cabinet meaning you can get even closer to your bakes. As a NEFF master partner, we champion this oven as a star baker. 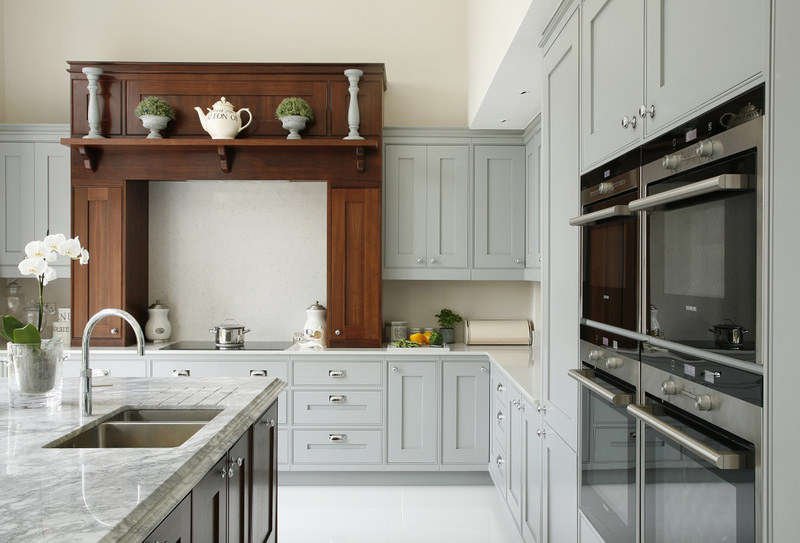 Nothing says British kitchen like a shaker style with its elegant simplicity. 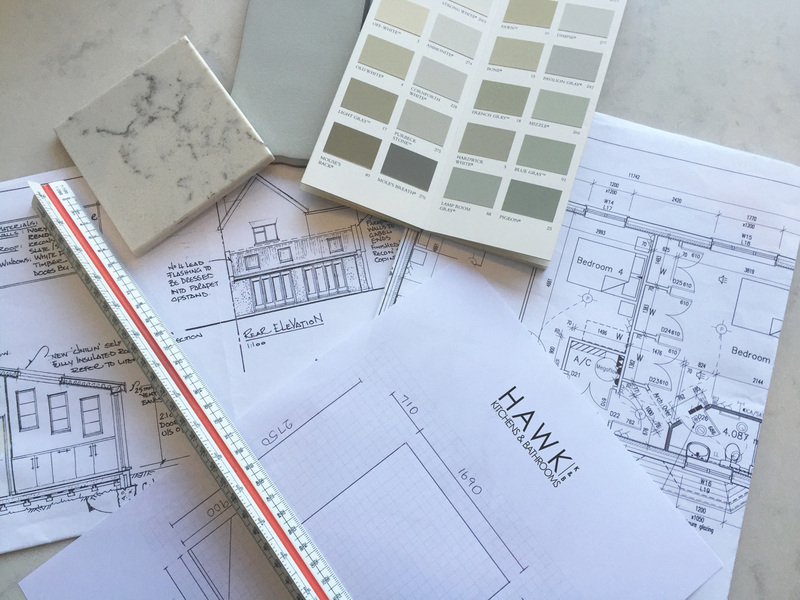 Our array of suppliers from Neptune to Masterclass and even our own bespoke shaker kitchens will be perfect for achieving this look. Also, Neptune and our own range can be hand painted in any colour of your choosing, meaning you can even have the perfect bake off blue if you so wish. The bake off islands are in fact the only workspace the contestants have to work off so they are well equipped with an oven, sink and hob, however in a larger kitchen your island won’t need quite as much. 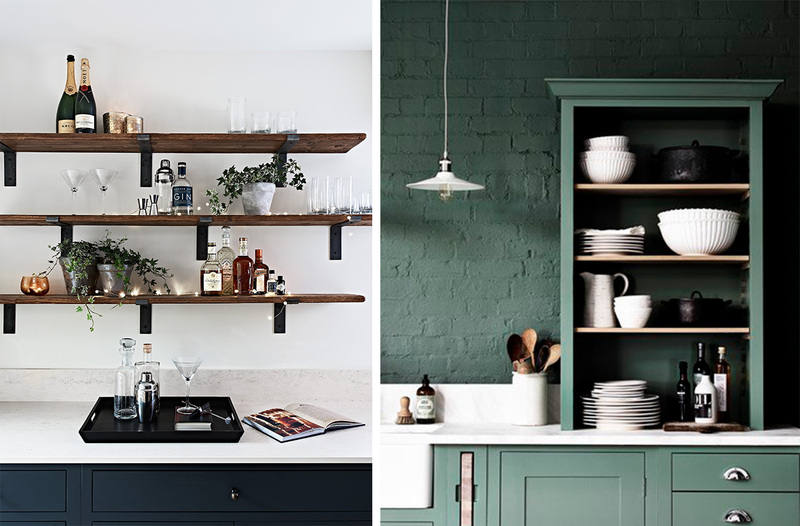 If the iconic Bake Off green, blue and purple palette isn’t to your taste either, pick an alternative colour, but ensure your island will stand out as the feature piece in your kitchen. Featuring a small domino hob on each island, these are perfect for island cooking. Induction hobs are easy to clean and only require electric so no gas supply is needed. A larger hob can also be used on a larger island but whichever you opt for will maintain a sleek workspace. 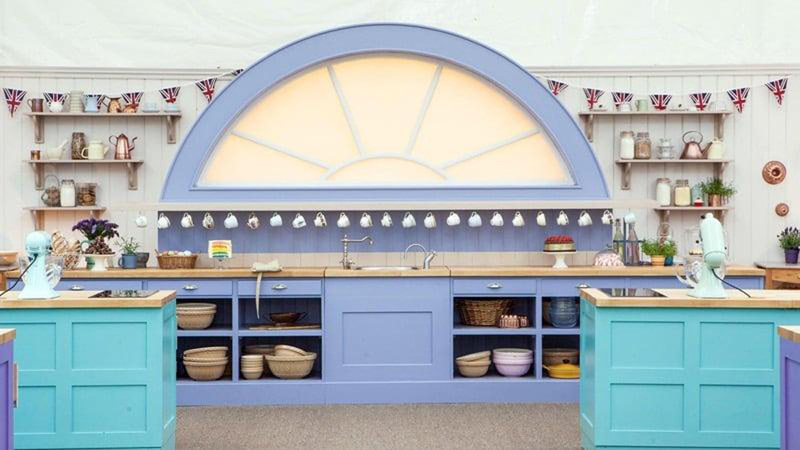 At the back of the Bake Off Tent you will spy lots of open shelving, filled with jugs and jars. Displaying your crockery collections and mason jars filled with flours and spices add to the homely, lived in feel of a kitchen and having your ingredients on display will inspire lots more baking! Often at the back of the judges tent you will see a beautifully filled dresser. 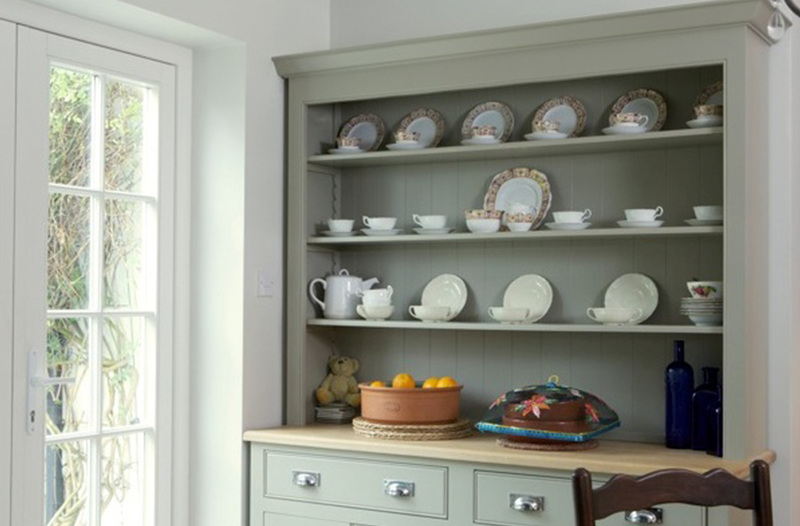 Perfect for displaying pretty crockery but also practical for storing cutlery and your larger pieces of crockery, a dresser is a wonderful addition to a kitchen if you have the space. It also makes a perfect spot to display your recent bakes. 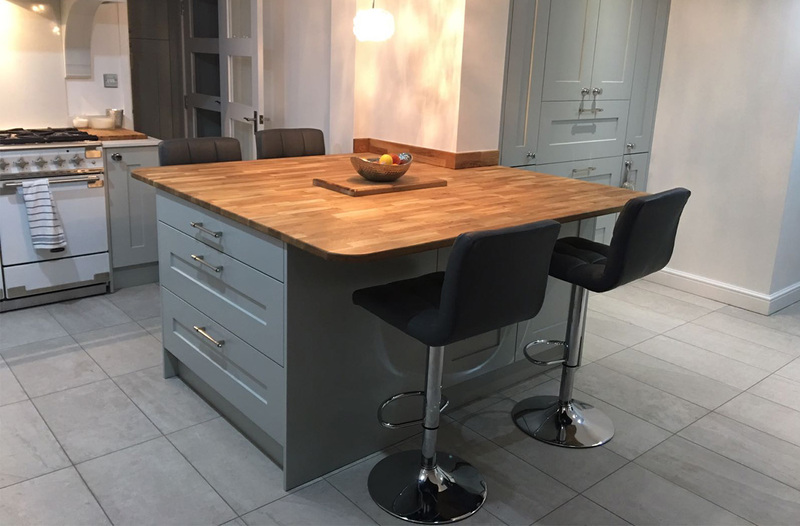 Wooden worktops add the perfect natural warmth to a British kitchen however they are often hard to keep in good condition. Instead, opt for natural wood on areas that are less likely to sustain water or heat damage such as on an island and your wood will stay wonderful for longer. 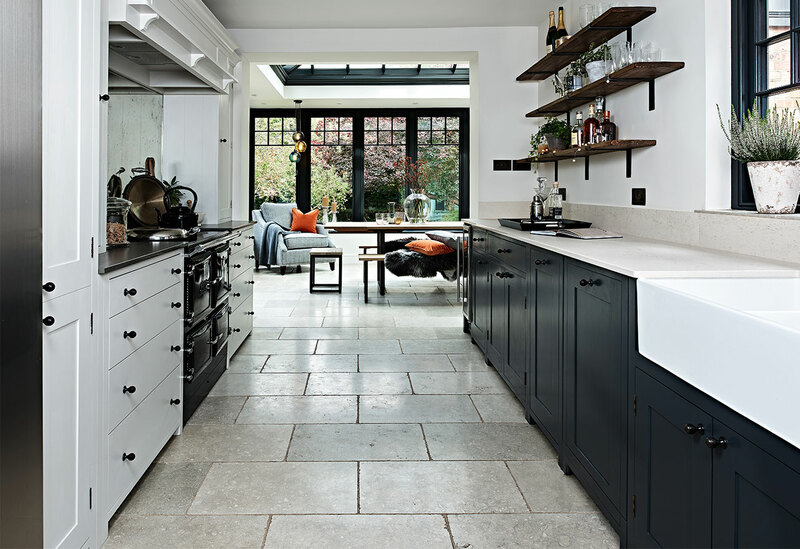 In short, a Great British Bake Off kitchen is achieved through traditional British kitchen design and traditional materials with the added extra of contemporary, state-of-the-art appliances for the perfect cooking experience. With Amazon Alexa sponsoring the show this year, next year we may even see the bakers using Home Connect and Alexa to tell their ovens when and what temperature to heat up to!